If you intend to use or happen to carry at night - or in otherwise dark situations/locations - beware. 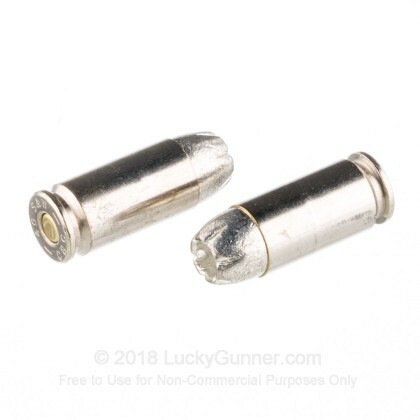 These cartridges exhibit bright, white incandescent muzzle flash: the brightest I've ever seen. The strobe effect/flash blindedness would be severe, the range I shot these at was brightly lit. Otherwise, smooth feeding, good performance, exactly what you'd expect from Magtech. For some strange reason, in my course of (admittedly amateur) shooting, I've gravitated toward the .40 caliber. Just seems like when I've had to rent a pistol, .40 was what was available. That said, I feel much more comfortable with lighter, faster loads, and the Magtech SCHPs have been spot on, every time. 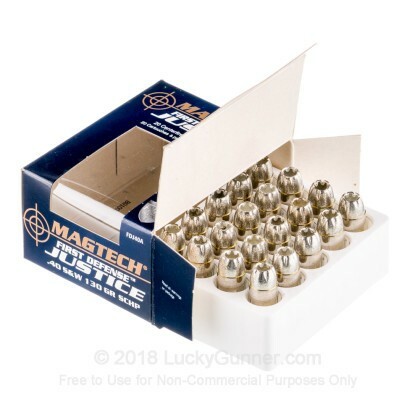 Cheap range ammo is great for having something to pull a trigger on, but I know with these, where i point is where the bullet goes. I hope i never have to , but if it comes to pointing at something to protect my family- I keep these in my primary mag. 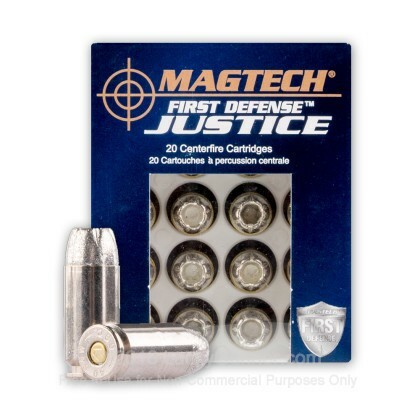 Magtech First Defense Justice are great feeding ammo in all guns. 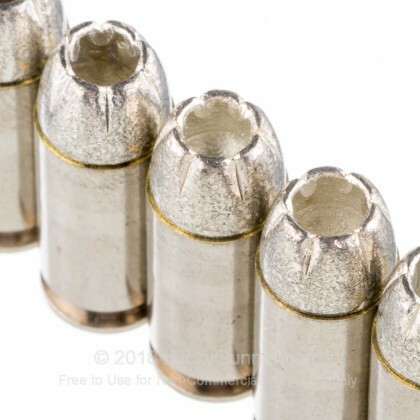 As well as a great expanding propeller type ammo with top notch knock down power. I'm an instructor for Federal Law Enforcement and the quality of the ammunition we have to use is pretty poor. We shoot MILSPEC ammo, which means it's designed to fire every time you pull the trigger. There is no concideration for accuracy, stopping power or muzzle velocity. Due to this, firing 50 rounds will dirty your gun like 1000 rounds of a premium ammo. Why do say this? 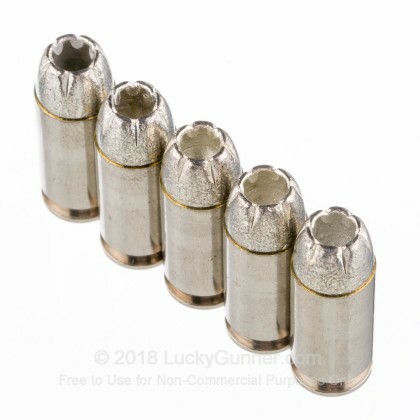 Because it was a delight to shoot these rounds and not have scrub my gun afterwards to get it ready for the next day at the range. These rounds loaded very smoothly and we're extremely accurate. 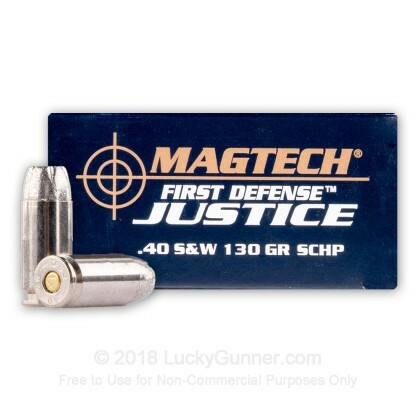 This would be a great round for your personal defensive weapon, though the price is a little high to shoot every day on the range. I'd fire a few to make sure they work with your weapon, then keep the rest for when your life is on the line. Great customer service from Lucky Gunner too! Shipping was faster than expected. These shoot great! Very smooth feed & noticeablely less recoil force. I'd almost use the phrase buttery to discribe their action. The price is the only draw back....my wife & I always want to practice with what we carry. That becomes a bit pricey @ a buck thirty a pop...but for reliability and that assured feeling of critical performance, this ammunition is the way to go.